Today was my first session of group therapy. Now obviously I can’t say too much about what was said and done but I believe I can give an outline of the session and what I learned from it. I arrived late because I overslept (great start) but I hadn’t missed much. It was mainly an introduction session. Getting to know one another, what the group was about and stuff like that. The thing I wanted to talk about is Radical acceptance. 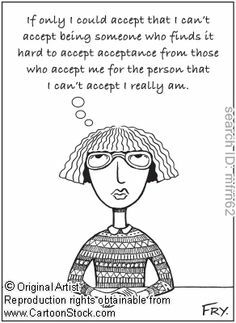 For some reason to me the “radical”word put me on edge but what Radical acceptance means is acknowledging the situation that has caused distress, not judging or criticizing it. This is because trying to fight or control distressing feelings actually makes things worse for yourself so learning to accept your emotions or past experiences as what they are and riding with them like waves. The way I see it is building a sandcastle with a wall and everything to protect it from the sea but no matter how thick the sand wall is the intense waves will still damage your sandcastle. So putting up barriers or trying to push the sea (your thoughts/emotions) away is pointless because it will still affect you. So accepting and working with the emotions actually makes them (and the sea) calmer causing less damage. Hope that makes sense. After the session I was already tested on what I’d learned today. My autistic sister started yelling and throwing her toys. An occurence that happens less often these days as both her and I are older but when it does happen it is paricularly stressful. I felt like crying or even hitting her then I wanted to hurt myself for wanting to hurt her it was so bad. I did stop and think though… I’ve done things like this before when having a meltdown or panic attack. She’s not acting up to purposely ruin things she’s stressed out because she doesn’t understand, if I were to snap or yell back at her it would only distress her more like with me when I have a public meltdown. Didn’t stop my own feelings of distress though; after a while my mum took her out of the restaurant to the shops and while they were away I tried to distract myself by looking through my notes from the session and beginning my draft of this post. When they came back a while later my sister had calmed down and we could finally order and eat our food, after eating I did feel much better. For some reason my bad moods get worse if I’m hungry. So what I learned today is to not judge others or myself harshly on how they deal with difficult situations and emotions because it’s natural and denying it, supressing how you feel can make things much worse in the long run.